Get a free sample kit from Tena when you answer the two easy questions on the site and register for your free sample. Get it today! MultiMenu, an uncontested leader in pet food distribution in Canada, has started a free sample program, which allows receiving 1 sample bag of dog food (1 kg). Order your sample now! 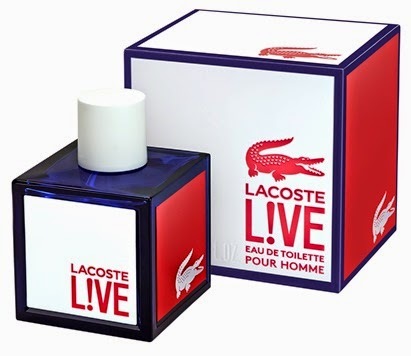 Lacoste is now distributing free samples of its Eau de toilette Lacoste L!VE for men. This new perfume costs between $50-$70 in Canada. Try it out before buying! Lacoste is a powerful present for a man - strong brand and masculine flavour. Kraft Canada is now offering a Samplicious box full of coffee samples for those who love drinking coffee by the cup. There are three brands included: Maxwell House, Nabob Coffee and Gevalia Kaffe in the box with samples. 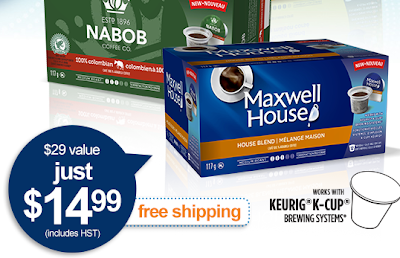 The Samplicious box from Kraft contains 3 cartons of Keurig compatible coffee pods (a $29 value) plus a recipe booklet and $3 in coupons, all for $14.99. 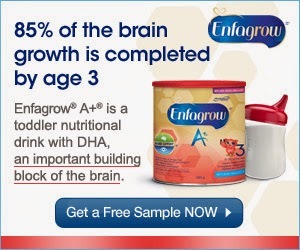 Get a free sample of Enfagrow A+ drink when you register at Enfamil.ca. The Enfagrow drink is meant for kids between 12-36 months. The toddler's brain will never grow as fast as it does during the first 3 years of the child's life. That's why this period in the baby's life is an important time for DHA, a type of Omega-3 fat and an important building block of the brain. Unfortunately, some toddlers may not be eating enough foods with DHA. So use Enfagrow A+, which is an easy way to give him more of the needed substance. Get your sample today to try it! Colgate is offering a free sample for its new Colgate Sensitive Pro-relief toothpaste. Usually, your sample arrives within 2-3 weeks after you register for it. The Sensitive Pro-relief toothpaste contains the so-called Pro-Argin technology (see the video below for more details).